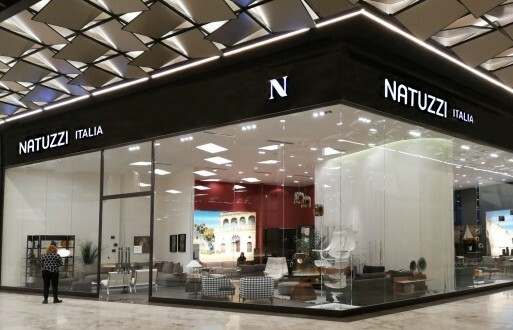 Natuzzi keeps consolidating its retail network in Turkey with the opening of a new Natuzzi Italia monobrand store in Istanbul. The new point of sale, its second in Istanbul, joins four monobrand stores and two galleries already present in Turkey. Some of the leading products of the Natuzzi Italia collection are hosted on a 193 sq m surface through seven sets, five of them dedicated to the living area, one to the dining and one to the night area. Among models showcased Kendo and Melpot sofas, Hex dining table and Re-vive, the iconic performance recliner symbol of design and technology, stand out.